Years ago I watched a friend (hi Chris!) 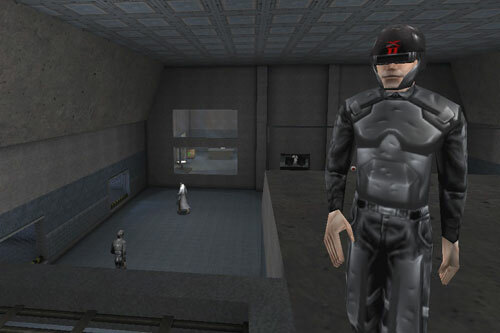 play through some of the later levels in the original Deus Ex and commented on how he was repeatedly subjecting Majestic 12 security personnel to death by natural causes, in so much as shooting them in the face would naturally cause their death. I noted that there were nonlethal ways to deal with the security on this level, such as stealth or knocking them unconscious with stun batons. “Nah,” he said, murdering another security guard who I personally thought might have doing his job and was glum over missing his kid’s soccer game. “These guys are pretty high up in MJ-12. They have to know the kind of stuff their employer is up to. They deserve it.” (For those of you who have forgotten, MJ-12 hijinks included creating a global pandemic in order to sell the cure. Not too nice.) Apparently feeling that the victims of his progress through the game deserved their virtual fate was important to this player, and I can understand why. In fact, psychologists have studied this phenomenon and dubbed it the “Just World Hypothesis.” When people witness someone subjected to some misfortune, they’re susceptible to suggestions that the person deserved it and thus see the misfortune as evidence of karma or justice –hence the “Just” in “Just World Hypothesis”. I'm sure this guy had a wife and kids ...UNTIL HE MURDERED AND ATE THEM! A few years ago one researcher showed this effect by presenting two groups of people two versions of an interaction between a “Barbara and Jack,” a man and a woman in a relationship.1 The stories presented to each group were identical except for the endings: in one group Jack proposed marriage to Barbara, and in the second he sexually assaulted her. Participants later filled out a survey asking them to recall the situation and those who read the story ending in sexual assault tended to remember (or rather misremember) things from the scenario and thought it more likely that Barbara engaged in risky behaviors like flirting, dressing provocatively, getting drunk, and agreeing to go back to Jack’s apartment. The author argued that people were more subject to remember things in hindsight in such a way that they matched their expectations. On the flipside, social psychologist Marvin Lerner, who pioneered the concept of the just world hypothesis showed that people are more likely to view lottery winners as harder working students.2 So it goes both ways. Go on, murder some dudes. No, no, it's cool. Don't worry about it. They're total jerks. 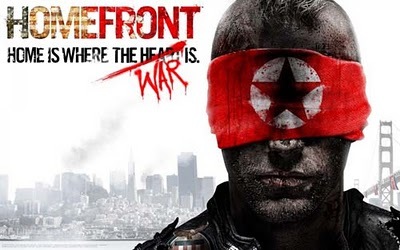 Now consider the recently released first person shooter Homefront, which has you play as an freedom fighter in an America occupied by a North Korean superpower. The introduction to the game goes to great lengths to relieve you of any moral misgivings you might have about plugging away at the enemies it’s getting ready to throw at you. You see enemy soldiers not only brutalizing American civilians, but outright murdering a mother in front of her children and callously tossing corpses around. The message is clear: Hey, these guys are evil. When we give you a gun, SHOOT THEM and FEEL GOOD ABOUT IT. Doing so is just increasing the amount of justice in the world, which is something your human psyche is naturally all on board with. 1. Carli, L. (1999). Cognitive Reconstruction, Hindsight, and Reactions to Victims and Perpetrators. Personality and Social Psychology Bulletin, 25, 966-979. 2. Lerner, M. The Belief in a Just World: A Fundamental Delusion, (New York: Plenum Press, 1980. 3. And honestly, in the context of a video game that’s hardly unusual, much less a war crime. 4. Though in full disclosure, I haven’t played Homefront; maybe it becomes subtle, but the intro video I watched sure wasn’t. The RSS feed seems to link to http://www.psychologyofgames.com/2011/04/18/just-world-hypothesis-and-homefront-2/ which results in a page not found error. Okay, added a htaccess redirect. I AM AN INTERNET WIZARD! If he’d been given an in game narrative that his character was insane, it might not have mattered so much. What your friend was doing was the inverse of the Just World Hypothesis. It wasn’t that he witnessed acts and found justification; he committed acts and found justification (or, more likely, the other way round). The more interesting question about this is a) why we are biased to mete out capital justice on NPCs when there are more peaceful alternatives, and b) why, having chosen the violent option, why we’d need to justify it at all. It’s probably also worth noting that this is a common trope in certain films – if you show the bad guy(s) doing something wildly unpleasant in the first ten minutes, it can justify any and all behaviours on the part of the protagonist; the further beyond the pale the antagonists have gone, the less the casual viewer need be disturbed by the atrocities committed in the name of ‘justice’. I still recall being pulled up short during the Citadel level in Half-Life 2, thanks to Breen’s speech (‘You have destroyed so much. What is it, exactly, that you have created? Can you name even one thing? I thought not.’) Up until that point I had been having a lot of fun slaughtering hordes of Combine soldiers. To be presented with the opposing viewpoint — and to realise that up until that point I had been mowing down anything that came between me and the next level without thinking — is something that I’d like to see more of, especially when it’s as well written and acted. If I remember Deus Ex correctly, by the time you get to killing MJ-12 guards you’re pretty far into the game. It’s easier to kill them than use non-lethal. Also sneaking past means when it goes wrong, it’s goes horribly wrong and you reload a quicksave. Actually, by the time you’re killing large amounts of MJ-12, it’s become pretty clear that they ARE all in on it. The reading materials, computers, dialogue, and backstory show that they’ve gotten so involved that there’s the banality of evil effect, with them making social plans on the same computers they use to discuss the murder of innocents. It’s also worth noting that either by bug or design, aside from a few lines of dialog from Paul, the game makes no distinction between unconscious and dead. You can KO someone with the prod, then chop them to bloody chunks with the Dragon’s Tooth and the game still considers them unconscious. So a decent argument could be made that your friend was merely putting them to sleep with magical knockout shells. Quite interesting, I heard that some researchers have found some alternative findings. You guys remember Mercenaries for xbox. “Blow stuff UP!” “Blow more stuff up!” You vs NKorea. but it was for money. mwha! The game “No One Lives Forever” lampshades this by allowing the player to overhear (sometimes astonishingly lengthy) conversations between guards while you sneak up on them, humanising the “enemies” and, as you progress further through the game, notably including discussions about whether they are about to be killed by you and how their families will manage without them!